At the Automation Expo 2018, held in Mumbai from 29 August to 1 September, Beckhoff Automation showcased a range of PC-based automation technology solutions for Industry 4.0 and industries such as packaging, pharma, automotive, F&B and process, among others with focus on IoT. At the company stand, Packaging South Asia met with Ajey Phatak, head – marketing & business development, Beckhoff Automation India, who spoke about the Indian packaging industry and the role of automation in it. “Packaging is now playing a very important role in the life of a brand. Also, the type of packaging that a brand owner wants is changing rapidly to increase market share. In other words, a brand owner wants a specific type of packaging for a specific period of time to encash the business opportunities. This trend has made the job of packaging machine designers and machine manufacturers very challenging. No longer is the traditional machine design and performance acceptable. Global competition and customization are rapidly influencing and disrupting machine design concept, and High Performance Automation Technology & Mechatronics is the name of the game today,” said Phatak. 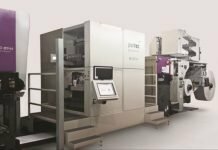 According to Phatak, because customization is what is needed these days, packaging is becoming frequently tailor-made and for that one needs modular and customizable machine designs. “And for designing modular machines you need innovative mechatronic products with powerful and future-ready programmable PC-based control systems, which are not only customizable with IT and automation software but also use high-speed communication fieldbus. Keeping these factors in mind, Beckhoff has come up with a revolutionary and innovative mechatronic system with PC-based control automation solution called eXtended Transport System (XTS), which was the highlight at the company’s stand at Automation Expo 2018. With the XTS – eXtended Transport System, Beckhoff presents a customizable motion and drive solution that combines the advantages of two well-known drive principles in a single system. It is modular and can be assembled to desired lengths and curves required for product handling, movement and speed. XTS combines the benefits of rotary and linear systems and contains all functions necessary for operation: a modular, fully integrated linear motor with power electronics and precise position measurement in a single device, a mover axes as a moving magnetic part and a mechanical guide rail. Customized grippers and adapters are connected to these movers according to the product to be handled. XTS enables individual product transport with a continuous flow of material at a maximum speed of 4 m/s. Also, to address special needs requiring special solutions, XTS Hygienic version and the XTS Black Line were developed to complement the XTS Standard. 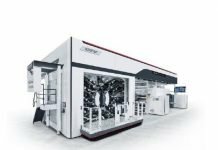 With XTS system packaging machines can be reinvented and designed innovatively to add higher production value not only to the end users but also to the machine manufacturer resulting in competitiveness and profitability. Talking about automation in Indian machine manufacturing, Phatak said that adoption is still very basic; comparisons are made with traditional BOM cost but not on the basis of Return on Investment. Manufacturing OEMs should also treat high-performance automation as investment head and not as expenditure head. Profitability grows exponentially with innovative machine designs. “Indian OEMs will be forced to change due to eCommerce and other market dynamics, and they will have to demand high performance and smart machines in the present and future times,” he said. This will make the machine manufacturers also think differently and use PC-based open automation technology to meet the changing demands from FMCG, pharma, F&B and other high volume manufacturing companies while opening up global market opportunities.